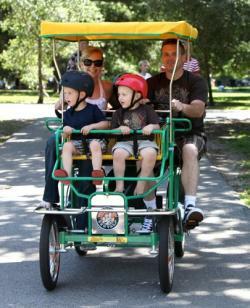 It can easily be said that Irvine is one of the most family-friendly destinations around. First educational facility of its kind in Orange County, Pretend City is a magical interactive "city" where children have an opportunity to play grown up by going to work, buying groceries, visiting the doctor, collecting their pay from an ATM and donating it to a worthy cause. One of Southern California&apos;s most popular entertainment destinations. More than just a place to shop, the Irvine Spectrum Center also has a carousel with antique-designed horses and menagerie animals, a 108-foot tall Giant Wheel, custom designed in Italy, along with an IMAX theatre and Dave & Buster&apos;s.
This blast from the past with batting cages, bumper boats, miniature golf, arcade games, laser tag and go-karts, plus King Arthur&apos;s carnival, a rock-climbing wall and Buccaneer Cove, a pirate&apos;s themed water play area for tons of water fun. This huge park encompasses a variety of different activities, from bike and paddle-boat rentals, to horseback riding and pony rides, a nature center, playground and a snack bar. Located inside the beautiful Irvine Regional Park, the zoo is home to animals and plants native to the Southwestern United States. The zoo also features a barnyard with domestic goats, sheep, pot-bellied pigs and more. Kids and adults will enjoy a one-third scale train that takes them on a scenic ride through the historic park. Tip: Irvine Park Railroad hosts special events - Easter Eggstravaganza, Pumpkin Patch and Christmas Train. 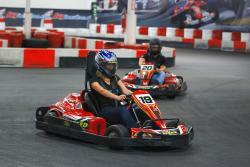 Get your thrill rides and world-class family entertainment at this indoor go-kart racing arena with not one, but two professionally designed tracks. There&apos;s a Pit Cafe snack bar to curb your hunger after racing laps. An organic, family-run farm that shows kids how fruit is grown. 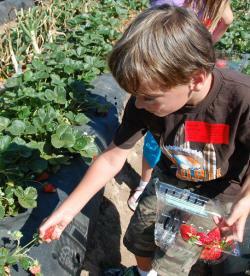 Seasonal u-pick strawberry, watermelon and pumpkin tours available.